Until recently, many government organizations made decisions largely based on instinct and rhetoric. They lacked the time and resources needed to fully review the performance of various programs. But now, technology is changing that. Socrata helps customers solve the challenge of collecting, centralizing, and analyzing the right data, so that they can more effectively prioritize initiatives and track results. 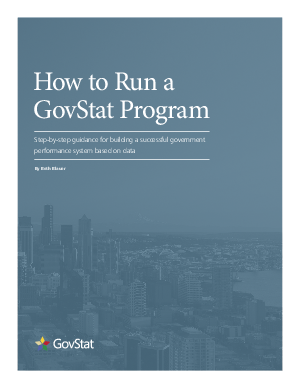 By using GovStat—a comprehensive, cloud-based public performance management solution—agencies and departments can connect investment to outcomes in a clear, measurable way, and then easily share that information with internal or external stakeholders, driving increased operational efficiency and improved citizen engagement. Please download the white paper to learn more.